Clover Guesthouse i Langkawi, Malaysia: Reservér nu! 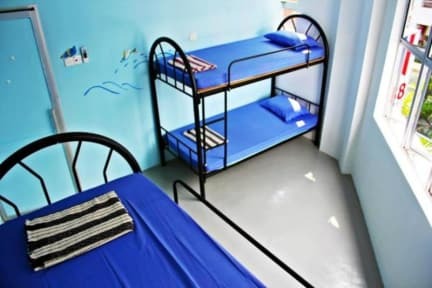 Relaxed guesthouse which is offering basic dorms rooms. 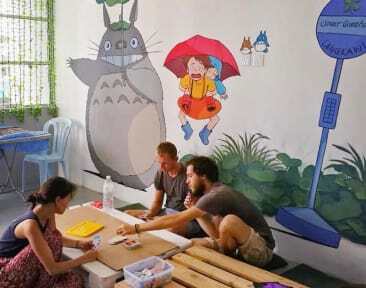 We have fan room and also air conditioner room in guesthouse. About the facilities, we have free Wi-Fi, card games, books exchange, plus a shared kitchen, and a cozy living room. Besides, we have shower heater, fridge, instand hot water dispenser, toaster maker and complimentary breakfast. 2. Check in from 14:00pm to 20:00pm. 4. Payment upon arrival by only cash. 6. Complimentary Bread and jam. 7. Age restriction: No Kids allow. 14+.